We compare the latest convertible pushchairs, including the iCandy Peach All-Terrain, Silver Cross Coast, Quinny Hubb and Thule Sleek, to find out which is the best investment for growing families. All of these travel system pushchairs can be used with one child, twins or siblings and have a number of unique and practical features designed to make parents' lives easier. Meghan Markle’s iCandy pram – has she made the right choice? The British royal family typically opt for Silver Cross pushchairs, however its been claimed that expectant parents Meghan Markle and Prince Harry are planning to use an iCandy pram with their newborn. We've tested a number of pushchairs from both brands. Find out how they compare and what are the best options for the Duke and Duchess of Sussex. Our car seat crash tests have uncovered issues with the BabyStyle Oyster Carapace baby car seat. Read our safety alert for more information. We've crunched the numbers the find out what pushchair reviews parents have been seeking out since the start of 2019. 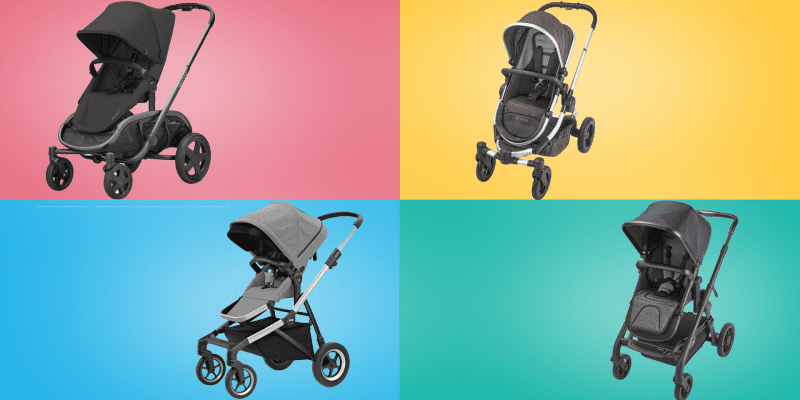 Take a look to see if Uppababy, iCandy, Bugaboo or Silver Cross hold the top spot and which prams, buggies and strollers are top for spring 2019. The same problems crop up frequently in our pushchair tests, from durability issues to choking hazards. Find out what to look out for if you're planning to buy a new stroller, buggy or travel system pram. iCandy's latest pushchair is out today. The iCandy Lime is a travel-system pushchair with carrycot and baby car seat adaptors included. Find out what our pushchair experts thought when they got hands-on with this new pushchair. Which buggies can carry bigger babies? Why are eBay and Amazon still selling these ‘killer car seats’? Fabric child car seats are being stocked on online marketplaces such as Ebay, Amazon and Aliexpress which are illegal to use in the UK. The seats could be potentially unsafe if involved in a car crash and are selling for as little as £8.19.